Practice tight turns in a parking lot. The biggest problem riders have when dealing with hairpin turns is their anxiety about being able to make the turn. It’s a good idea to practice tight turns in a parking lot before you encounter challenging hairpin turns. Read more about slow speed riding techniques. One of the most likely reasons for a crash in a corner is entering too fast. When dealing with downhill hairpin turns, you also have the additional force of gravity pushing you downhill. The trick is to get your bike slowed early and smoothly and then carry a bit of brake force past turn in to keep the bike stable, Read about trailbraking for more detail. Just be sure the surface is clean enough to allow slight braking while cornering. When making slow turns, it is important that you maintain slight, steady forward drive for stability. If you chop off the throttle, you’ll probably fall. A bit of forward drive takes some of the load off the front tire when going downhill and gives you forward momentum when going up a hill. It also maximizes ground clearance. Downhill turns are challenging enough to put a sign up. When approaching a downhill hairpin curve you need to slow down more to manage gravity, but also to allow you to crack the throttle slightly for maximum stability. From a slow entry speed, give the bike enough throttle (as soon as you begin to lean) to maintain steady drive through the whole curve. Try not to decelerate. Be sure to look well into the turn, at the corner exit. When going uphill, you can approach with a bit higher speed. But, slow down enough to allow steady throttle throughout the whole turn. Be sure not to use too much throttle that you cause the front tire to lose traction and “skate”, which can push your bike too far to the outside of the turn. You also don’t want to overload the rear tire with too much acceleration force. Steady, gradual throttle at the beginning of the turn is the key. Again, keep your eyes pointed all the way to the turn’s exit. Look through the turn and accelerate slightly. Whether going up or down hill, you need to keep your speed above about 10 mph to maintain balance and stability. Sometimes, people simply fall over because they are going too slow. At very low speeds, slight deceleration or shift in body weight (tell passengers to remain relaxed, but still) is enough to upset balance and cause a tip over. Aim for smooth, steady drive. Your eyes help direct your bike to where you are looking so look where you WANT to go. Turn your head to ratchet your eyes through to corner, always looking to the next visual target…entry, apex, exit. Read more about visual skills here. Try to select a cornering line that allows you to get your steering inputs done early and so the throttle finishes the turn. This usually means an outside-inside-outside path of travel. There are many advantages to this line, including a wide view through the turn and the ability to perform a quick turn-in that gets the bike turned early. 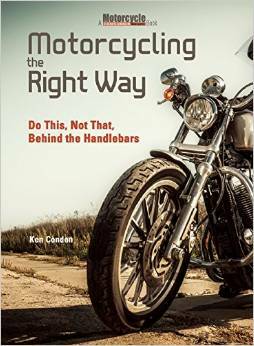 It’s common for riders to fall in slow, tight corners because they introduce mid-corner steering inputs at the time when the front tire is already working hard. Here’s a video of my friend Matt who found out how a slight miscue in a slow, tight turn can put you on the ground. He was a rather new rider at the time and was spooked by the traffic. The bike was borrowed, so it was not familiar to him, either. He was unhurt. Erik from Twisted Throttle evaluates the crash protection from SW-MOTECH. Why do you think Matt crashed? I’ll give my opinion in the comments below after some of you respond. 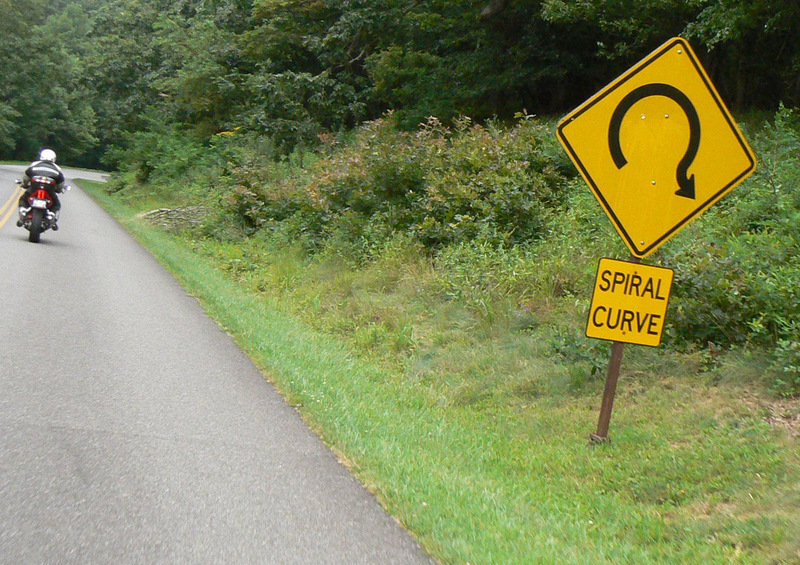 What tips do you find useful when dealing with hairpin turns? 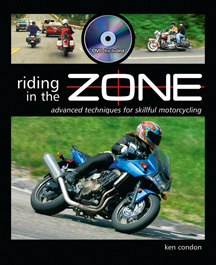 ‹ Is Rider Training Effective? I like coming to Europe to ride hairpins and switchbacks as they are very challenging indeed. The vid is awesome thanks ! In my opinion and what I am learning to do on my GS 1200 is to break well before the turn (left/ right uphill) and then continue with throttle steady to increase as you ascend looking at exit at all times. He might have either chopped the throttle or leaned without enough power hence causing the front to slide. Looked to me like he was spooked when he entered the turn by the two cars hugging the centerline. He stabbed his brake and may have dropped too much speed. It was an uphill hairpin. Kind of a weird dump, not a normal low side. The way he fell onto his knees it looked like a slow speed balance disruption by uncoordinated application of throttle and unsettled suspension. Almost looks like he was trying to dump the bike. Yep. I didn’t want to introduce another concept into the topic, but you make a good point, so I tweaked the post to include more on line selection. Thanks. OK. Here’s my take: If you look carefully you can see Matt rounding the two previous corners using abrupt mid-corner steering inputs, rather than using one single countersteering input at the beginning of the turn and then relaxing on the bars. I believe he probably added throttle at the same time he did the handlebar input, causing him to tuck the front tire. In general, Matt did not look well into the turn to make a cornering plan, including choosing an effective line. He also failed to turn in with precision and authority and then relax as he rolled on the throttle. Too many inputs at the wrong time, and boom. I believe he was also tapping the throttle on and off on the straightaways. So at near end of the turn he gave front wheel right handle pressure to straighten up changing tire traction, gassed it, raised the front suspension, No traction or hard parts traction. Watching the video from the Versys’s point of view, it looks like lean angle and throttle input were key factors. Looking at the clip from 1:43 to 1:47, you can see the acceleration kicks in about the time he passes the end of the inner guardrail. 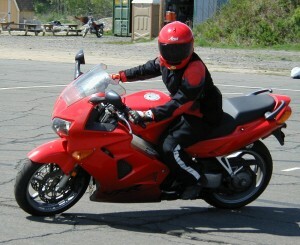 The angle of the outer guardrail is about 45 degrees in the frame at that time – the bike is still leaned over as the rear tire slides and low sides. The bike slid mostly straight up the road, ending up near the centerline. A mid-corner low-side would most likely slide off the outside the road. That seems to indicate the bike was pointing and moving almost straight uphill when it low-sided. But it was still leaned over. It’s easy for the visual input of ‘straight-ahead’ to be confused with ‘straight-up’, and that can lead to a mismatch between throttle input and available traction. Picking the bike up (getting it vertical) more quickly when exiting the corner and ratcheting the throttle would have helped avoid the crash. The article covered the things I found helped with hairpins. In the Alps, you’re frequently above the treeline, making it easy to scan far ahead for oncoming traffic well before entering the corner. This can impact your line – no oncoming traffic is very different corner than sharing a hairpin with a bus. Looks like he was getting a little slow starting the turn and when he added power it caused the front wheel to slide out. Hard to really pin it down but probably could have been avoided with constant power through the turn with a gentle addition for the uphill grade. Thanks Ken for the column, both here and MCN. It appeared he made several countersteering inputs on previous curves, rather than a smooth handlebar input, looking, pressing, smoothly rolling (sneaking) on some throttle (I find sneaking-on some throttle in the straight away helps reduce the number of throttle inputs in the curve). The curve where the crash occurred appeared he may have perhaps been too slow entering the curve. Top-heavy CG and not smooth throttle input may have contributed to the slow speed drop. I like your articles Ken! I’ll take a stab at what happened: When I look at the video before the crash I can see that Matt is making somewhat abrupt countersteer inputs and tapping the brake. If he used the front brake and did both together he increased his chances of losing front wheel traction.